Ontario’s Progressive Conservative government is unveiling its much-anticipated budget on Thursday afternoon. 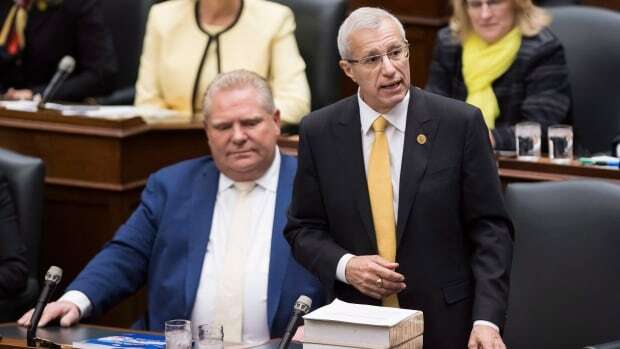 Finance Minister Vic Fedeli has spent months warning voters that “the road ahead will not always be easy” as the Ford government looks to claw back a $13.5-billion deficit. Fedeli has been adamant that his government’s first budget will outline how it plans to find a path back to balance. Watch live above as Fedeli rises in the legislature at about 4 p.m. ET to formally table the province’s 2019 budget.